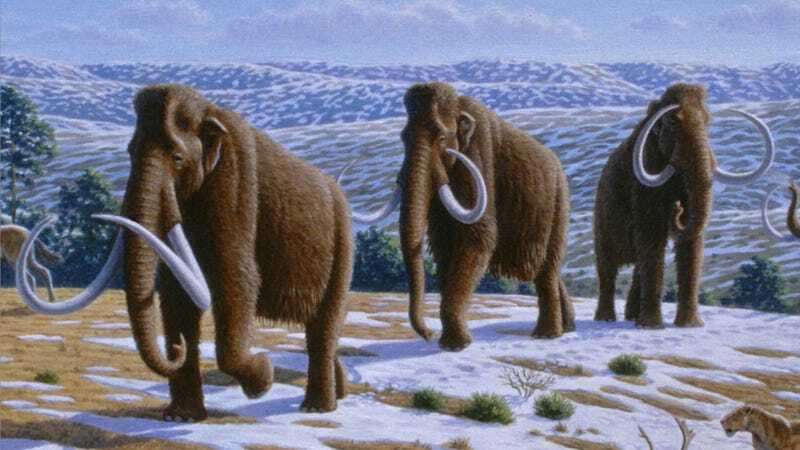 When Russian and Japanese scientists announced last December that they had recovered bone marrow that would enable them to clone a woolly mammoth within five years, a lot of people called their 2017 deadline unrealistic. Now, Russian scientists have teamed up with South Korea's Sooam Biotech Research Foundation — a non profit organization widely recognized as a leader in animal cloning technologies — in an effort to expedite the cloning process. There's just one problem: the man in charge of the Foundation is a scientific fraud. Wait, what? Who is this guy? The researcher in question is disgraced South Korean cloning expert Woo-Suk Hwang. In 2004, Hwang and his colleagues published a paper in Science claiming that they had extracted stem cells from the world's first cloned human embryos. In 2005, Hwang's team published a second study, also in Science, claiming they had generated stem cells genetically matched to specific human patients — another scientific first. In South Korea, Hwang was widely regarded as a hero. Less than a year later, it was revealed that Hwang's papers had been based on fake data, and the papers were retracted. By 2006, Hwang had admitted to falsifying results, and the South Korean government had stripped him of his license to conduct stem cell research. That same year, he was indicted on charges of fraud (for accepting millions of dollars in private donations), embezzlement (of US$700,000 in government money), and bioethics infractions (for using human ova supplied by two of his own researchers). When the trial ended three years later, Hwang was convicted for embezzlement and ethics violations (he was cleared of fraud), and sentenced to a suspended two-year prison term. But that was in 2009. This picture was taken earlier today. Featured in the photograph is Hwang (on the left) shaking hands with Vasily Vasiliev, vice rector of the North-Eastern Federal University in Russia's Sakha Republic. The two met today to solidify a collaboration between Russian and South Korean scientists dedicated to reclaiming the woolly mammoth from the grip of extinction. So Hwang still does research? Absolutely. In 2005, years before he was convicted of anything, Hwang was instrumental in creating Snuppy, the world's first cloned dog (an achievement that has been verified). Following his highly publicized downfall, and after vowing to re-establish himself within the scientific community, Hwang decided to concentrate his research efforts on animal cloning. Since then, he's established the privately funded Sooam Biotech Research Foundation and successfully cloned a number of animals, including pigs, wolves, and — most recently — coyotes. As stem cell reacher Alan Colman told Nature News following Hwang's 2009 conviction: Hwang may have manipulated many of his fellow scientists in order to get his two fraudulent papers published, but "it's clear he is a talented experimentalist." The big question now is two-fold. One: once they've acquired the best mammoth tissue possible, are Hwang and his colleagues at Sooam BRF talented enough to swap the nuclei of egg cells from a modern indian elephant with viable mammoth nuclei (what many consider to be the most difficult challenge along the road to a cloned mammoth)? And two: will any progress made by Hwang and his team be overshadowed by his previous scientific transgressions?